The only constant in life is change, and thatâ€™s a good thing. When we change, we grow, we evolve, and we embrace different perspectives. One of the ways we express this is by changing our surroundings. Redesigning your home is an excellent way to express your priorities and display what makes you comfortable, and thereâ€™s no better place to start than your kitchen cabinets. It makes perfect sense. The kitchen is the hub of your home, the nerve center from which everything else revolves around. Not only that, but your cabinets are the most visible aspects of the kitchen, and they set the tone for everything else. But there are decisions to be made, and they must be made correctly. Read on for a few tips to help you pick the kitchen cabinets that are right for you. The most prominent element of cabinet design is the door, so youâ€™ll want to begin by picking the door profile that speaks to you. Just a few design options are raised arch, slab, recessed miter, and recessed square. Whatever choice you make, it can transform the kitchen into something modern, traditional, or simple with a sense of style. 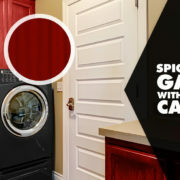 Like most people, youâ€™ll probably end up with a few finalists for your cabinet door decision. At this point, see which ones are comfortably within your budget. Then, check out samples and take pictures of them with your cameraphone. Take 3-4 pictures per sample from different angles, take a little time to look at them, then delete the pictures youâ€™re not in love with. Before you know it, the clear choice will show itself. Next, youâ€™ll want to decide what kind of wood and what color finish you want. Cherry wood? Birch? Black? Off-white? Many people have a strong sense already of the wood and finish they prefer. 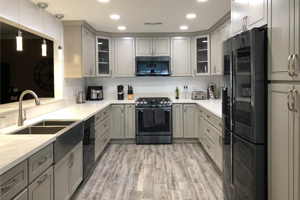 If youâ€™re not sure, take a few pictures of your kitchen and, along with the pictures of the door design, meet with an experienced kitchen designer in your area. They can provide suggestions to help you make a smart decision. After that, youâ€™re going to make decisions about both the form and the function of the cabinetry. 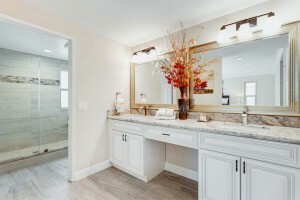 For example, do you want drawers, shelves, or a combination underneath the countertops? What about the hardware and accessories? Glass doors with textured or decorative aspects? Itâ€™s important to strike a balance between everything looking good and functioning well. Lastly, organization of the kitchen is key. Youâ€™ll be spending a lot of time in the kitchen for family events, celebration, and normal days and nights with your family. 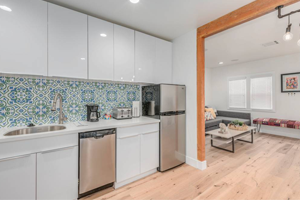 Itâ€™s key to choose a design that works for you in terms of kitchen functionality, so you may opt for a space to put in a family message center, or perhaps a utensil pullout for the pantry. As long as everything is maximized for your efficiency and comfort, youâ€™ll be happy. 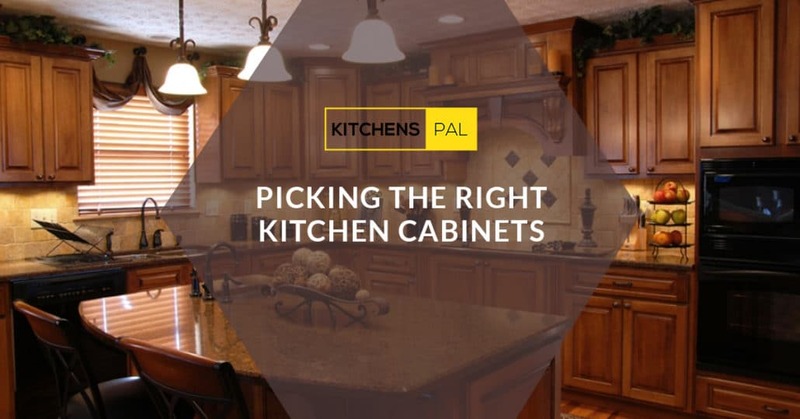 Choosing the right kitchen cabinets can be a big decision, so make sure you take your time, and make decisions that are within your budget, help you to work efficiently in the kitchen, and provide an aesthetic feel that compliments you.